Up till today, I think the Marche restaurant here has one of the best mushroom soup. It’s rich, creamy and full of mushroomy flavors and we can taste mushroom bits in every spoonful. It’s not exactly cheap. Probably sold at $6 for a small portion? Well, considering this dish is quite a handful (anything that is not one pot and requires additional cooking methods is, to me), I think the price is ok. The great thing about home cooking is that when zzz cooks it, I have a whole steaming hot pot of soup all to myself-just that its really too hot to have something so hot. Make the vegetable stock first. Roughly chop the veggies into a medium pot and add about 1500 ml of water. Bring to boil and allow to simmer for at least 45 mins. Meanwhile prepare the ingredients for the soup. Briefly run the dried mushrooms under tap water and soak them with just enough freshly boiled water to cover. Wipe the fresh mushrooms clean and remove the stalks. Throw the stalks into the simmering stock. Roughly slice/tear the mushrooms (the small ones can be left whole). Finely chop the red onion and garlic. In a large hot saucepan, add olive oil and half the mushrooms. Sauté at medium high heat for a few minutes, add the garlic and onions and the rest of the mushrooms. Continue to sauté, noting that the water in the mushroom should be cooked away. Add the dried mushrooms and reserve the soaking liquid. Add a dash of salt. Continue to sauté for another 10 minutes or until the mushrooms are cooked perfectly (ermm, taste and trust your senses!). 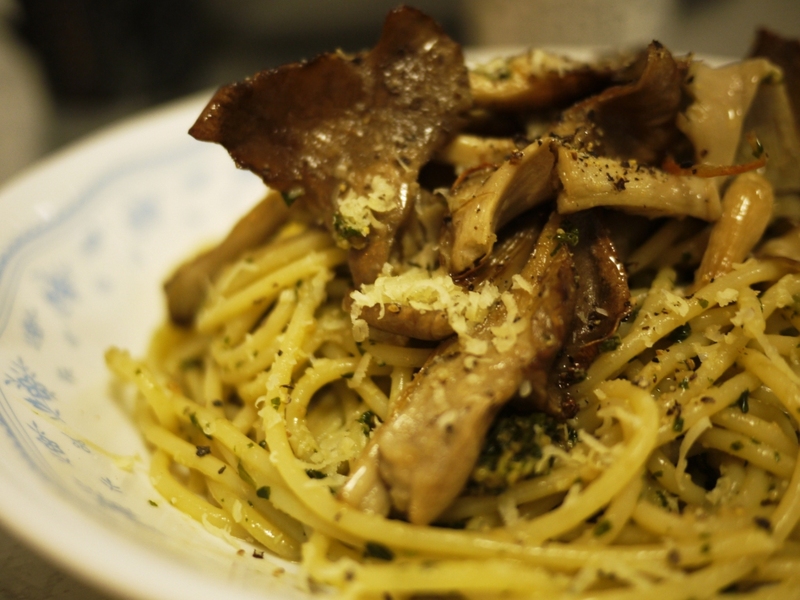 The mushrooms should not be wet nor burning dry. Strain the vegetable stock. Pick up the potato chunks and add them into the pot of mushrooms. Add the soaking liquid and 800ml of the vegetable stock. Bring to boil and simmer for about 10 minutes. Use an immersion blender to blend the soup until no big chucks of mushrooms remains. Season with salt and pepper. Taste and check consistency. If soup is too thick add more stock gradually. Add lemon juice and bring to simmer for about 5 minutes. 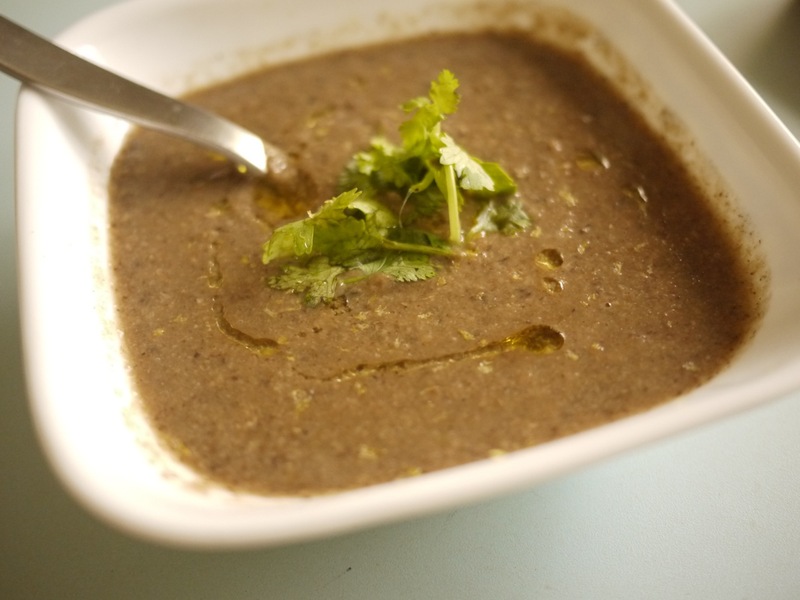 Serve hot with coriander leaves, a dash of lemon zest and a few drops of truffle oil (optional). 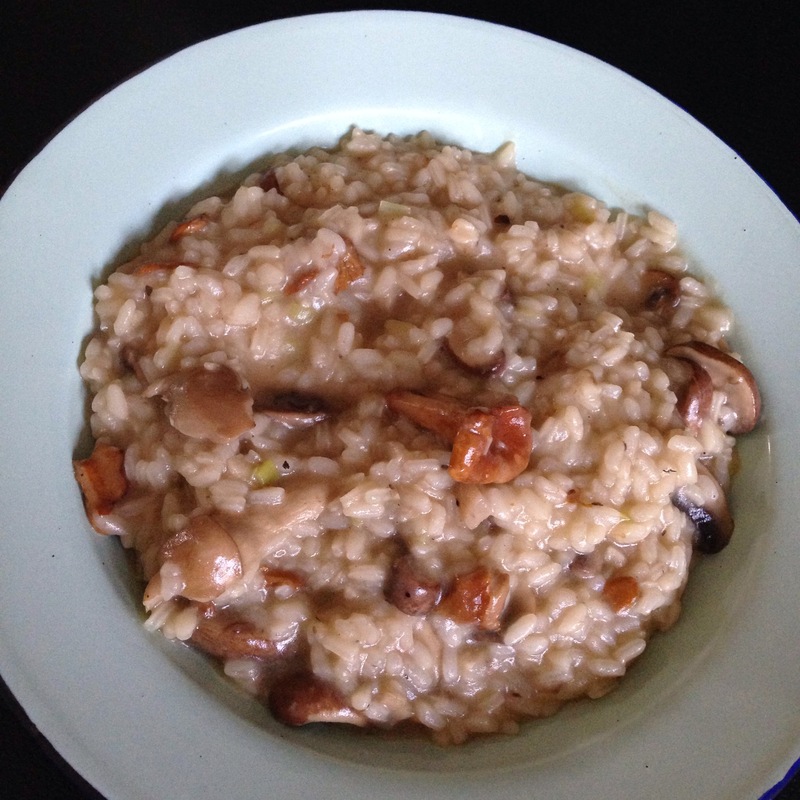 This entry was posted in Cook and tagged mushroom, soup on May 25, 2013 by three3seconds.